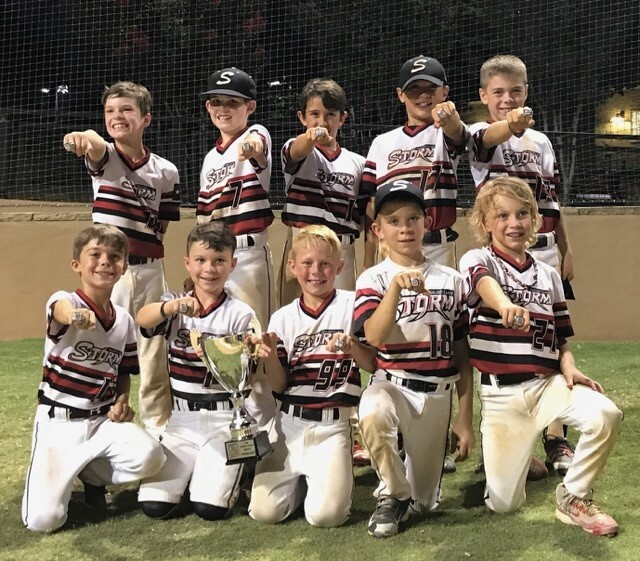 The 9U AAA Storm - Schultz boys had a remarkable run to end their season playing in three straight tournament championships where they won 2 times, both at 10U! They first took the Nokona Iron Jacket where they outscored their opponents 32-10 in 5 games. They next took the Travel Sports Best of the West at 10U where Logan Schultz tossed a complete game no-hitter on Sunday. They went 5-0 that weekend, giving up only 11 runs! They finished up their season taking 2nd at the TSB Super State, losing a hard fought game very late on Sunday. What a great run to end the season boys. We're all proud of you!